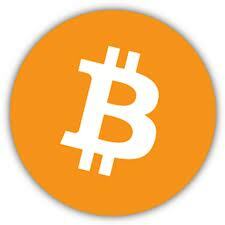 Bitcoin, a completely digital currency, is slowly becoming accepted at more online stores. Just this week, Bitcoin gained its biggest-name user yet: Reddit just started accepting payment in Bitcoins. There are thousands of digital currencies in place online already (think of World of Warcraft gold and Farmville Farm Cash), but Bitcoin is the most popular currency that’s not tied to a specific game, website, or app, and thus the one that’s most likely to become an accepted general-purpose currency. It’s quite possible that Bitcoin itself won’t amount to anything. However, on the other hand, it’s highly likely that someday soon a digital currency will be just as widely used as a national money like dollars, yen, or euro. And why not Bitcoin? It has a decent and growing amount of traction. It’s extremely easy to start accepting Bitcoins, with fees lower than those required to accept credit cards or Paypal. Bitcoins can be exchanged for dollars at several exchange services, which are listed on Bitcoin’s official website, weusecoins.com. Why not start accepting Bitcoins as payment? It’s another way for your customers to buy from you, and it’s one that’s fairly easy to implement. Even if you choose not to join now, you should be prepared to update your payment infrastructure for Bitcoin or another digital currency in the next few years.